Beaudry’s is the Exclusive Licensed Manufacture and Distributor For the New 2018 FJ 1300RTP, 1200AP Tenere and Kawasaki Concours 14P Police Motorcycles. Ask us about Electronic Adjustable Suspension Option for the 2018 FJ 1300RTP (Download the Brochure). See Beaudry’s for all your Electric ZERO Emission Police Authority Motorcycles and Electric Hybrid E-Bicycle needs. Click here for Brochure on the New 2018 Can-Am F3P Police model from Bombardier. 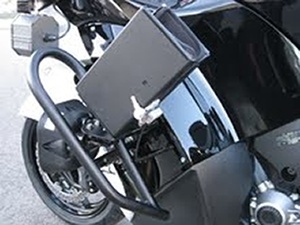 Beaudry Police Authority Motorcycles have been tested and certified by the California Highway Patrol. 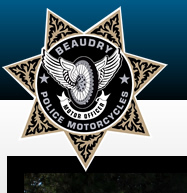 Beaudry’s is the largest Manufacture & Supplier of Metric Law Enforcement Motorcycles in the United States. We have currently sold to over 145 Departments through out the US, Canada and the World. Please see Beaudry Police Authority Sales USA for all your Departmental needs. For general sales inquiries, please email sales@zeropolice.com or click here to fill out our online contact form and a representative will get back to you as soon as possible. The GEM ZERO Emission Electric Police Motorcycle was Designed & Developed pursuant to a supplier agreement with Zero Motorcycles Inc.
Beaudry Built California Highway Patrol Kawasaki Concours 14P’s lead the way at Trump Rally in San Diego California!! !